Josh Doxtator, a PGA professional and the new general manager at The Golf Club at Harbor Shores Resort in Benton Harbor, Michigan, has been on the job for almost four weeks, but spent a month prior to that working on a strategic plan with stakeholders. 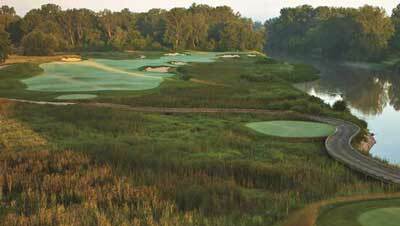 Doxtator comes from Green Bay, Wisconsin, and Thornberry Creek at Oneida, the official course of the Green Bay Packers and host of an LPGA tournament. His background also includes working at Trilogy of Vistancia Golf Club in Peoria, Arizona. “I’ve worked in different markets, larger than this, but I’ve had success in reaching goals,” Doxtator said. Doxtator is busy to that end, and he can’t wait for weather to allow him to play the Harbor Shores course that is closing in on almost 10 years of existence. 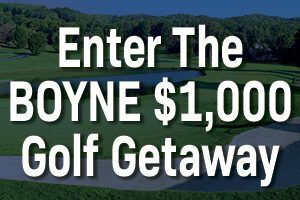 He sees a course that offers challenging golf, as evidenced by it serving as a four-time site for the KitchenAid PGA Senior Championship, which it will host again in 2020, 2022 and 2024 under the latest agreement with the PGA of America. Harbor Shores also plans to continue its relationship with the First Tee Chapter located there. “It’s reached 1,000 kids and helped them play golf and much more,” Doxtator said. He feels his biggest challenge in a smaller community with a short golf season is finding the hospitality driven team members to make success possible. 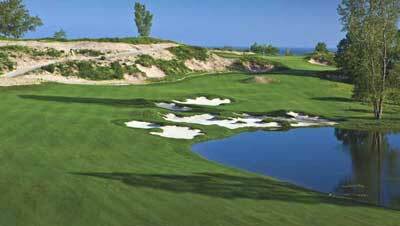 Harbor Shores is a beach, golf, and residential waterfront community, and the 18-hole course is an award-winning design that features golf holes on four diverse terrains—parkland, sand dunes on the lake, woodlands, and wetlands along the Paw Paw River and Ox Creek. The development has made national news by reclaiming abandoned and polluted land as part of a non-profit effort. Harbor Shores was honored in best new course rankings in 2010 by Golf magazine, Golf Digest, and Golfweek, and has been honored as environmental leaders by the Golf Course Superintendents Association of America.